As the new festive season kicks in, city’s most cherished developers Nani’s Buildcon, known for its impeccable architect and ultramodern construction, has prominently offered the cream residential and commercial project at Bajaj Nagar, Nagpur. The project Vedant Peridot is all set for ready possession at Bajaj Nagar (Completion Certificate received). Only few flats are available in Vedant Peridot, strategically located at Bajaj Nagar, which offers plush and premium quality 3 BHK terrace flats with exclusive parking. The project is RERA registered and no GST is charged on its booking. The scheme beautifully sports the greenery of Panjabrao Krishi Vidyapeeth and the serenity of VNIT campus – Bajaj Nagar. Not only the location, this project also holds substance in its every aspect. The locality is fast developing into a prime property area and yet it retains its firm residential character. 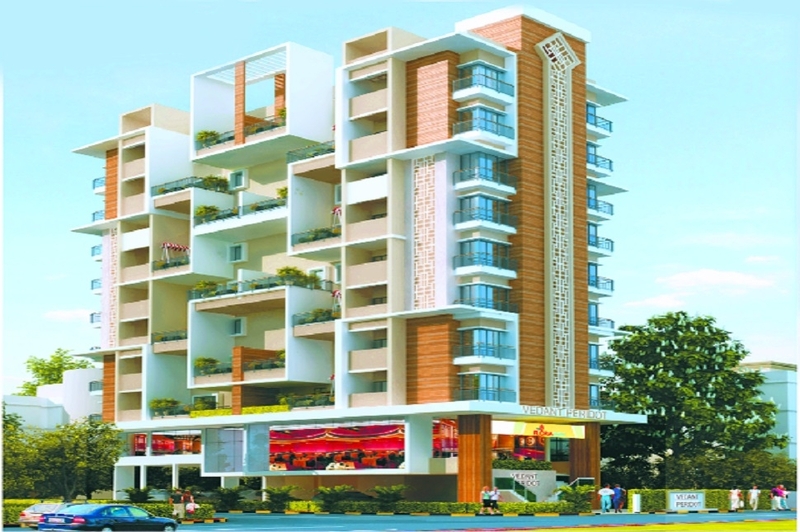 In spite of this, it is quite close to all major markets, quality school, colleges, hospitals and all urban conveniences. Right from A class construction to intercom facilities, fire fighting system, ample water supply and parking, safety grills to all the windows the project clubs it all. Besides power backup is being provided to the lifts. The project is a masterpiece by Nani’s Buildcon which has to its credit successful completion of 20 housing projects accommodating over 350 families. For details, contact Nani’s Buildcon Pvt. Ltd., J-13, Ground Floor, West High Court Road, Laxmi Nagar, Nagpur. (9422104290, 7755983055).